The journey can only be fun when you know your priorities, budget, comfort levels and then make a planned trip – sometimes a bit of common sense is worth the extra cost. Even though they say Indian domestic flights are the cheapest in the world, we Indians will never concede this survey. The reason being, the Indian domestic flights fare will always be pretty penny for us if we correlate with our present economy. Flights being the best time saving conveyance option, we’re bound to pick this option irrespective of the cost they endure. However, deals like Yatra flight offers make it quite convenient for us. By availing great discounts, the flight fares then easily suit our budget, thus making our travel an enjoyable experience. As per a global transportation study, air fares in India are the lowest in the world, accentuating the bitter competition between airlines in the South Asian country. In India, it costs an average of only $2.27 to fly 100 kilometers on domestic routes on a budget airline and $2.67 on a full-service carrier, according to a survey conducted by Kiwi.com, a Czech Republic-based online travel agency. The most expensive Asian country to fly domestically is the United Arab Emirates where flights are 80 times costlier than India. It costs $181.38 for 100 kilometers on a budget airline in the UAE and $220.36 on a full-service airline, according to Kiwi.com’s 2016 Aviation Price Index, which analyzed more than one million flights worldwide. Domestic budget airline fares in India are similar to those in Malaysia—the second least expensive country–which cost $2.32 per 100 kilometers. Fares on full-service carriers in the Southeast Asian nation are however more expensive, at $5.81 for a similar distance. Indian fares are cheaper thanks to strong competition and comparatively lower jet fuel prices. The country also has a number of budget airlines, including InterGlobe Aviation Ltd.’s IndiGo and SpiceJet Ltd.
Prices in India have fallen as competition increased with the arrival of new carriers. Malaysia’s AirAsia Bhd. started a budget airline venture with India’s Tata Sons Ltd. while Singapore Airlines Ltd. began a full-service carrier with Tata Sons. 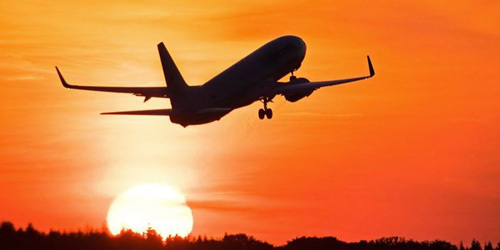 Russia is ranked third least expensive for domestic air travel, with prices at $7.02 for budget airlines and $6.32 for full-service, the survey showed. Now with deals like Yatra flight offers, it’s like icing on the cake for the enthusiastic travelers across the nation. Lopa Mohanty: She spends weekdays wondering and exploring how to play with words that can leave a lasting impact on her readers’ minds, and she spends the weekends playing guitar, painting and traveling.